Ok… it’s totally been a month since I last posted anything. Sorry about that. I’ve written a bunch of drafts, but then my inability to focus takes over and they remain half-finished. It’s also been 2 months since I last posted a real update on my pregnancy. So here goes! 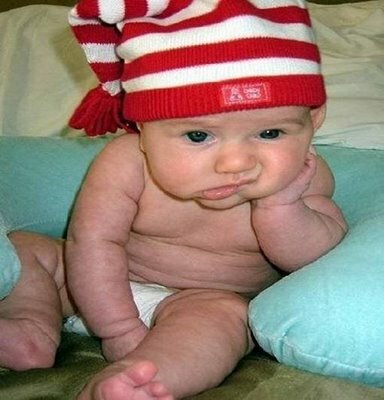 I’ve been told that fatter babies are happier babies. Because they have more body fat to live off, they can sleep a little longer and their feedings are a little more spread apart. I hear that as more sleep and I love that idea! I’m pretty sure babies are easier to care for on the inside than the outside, so I don’t mind a few extra days. What’s the rush? I plan to know this kid for the rest of my life, what’s another few days of waiting? Plus, I know where it is! It’s not like I need to be nervous because he/she is missing. I get kicked, I know he/she is in there and doing fine. 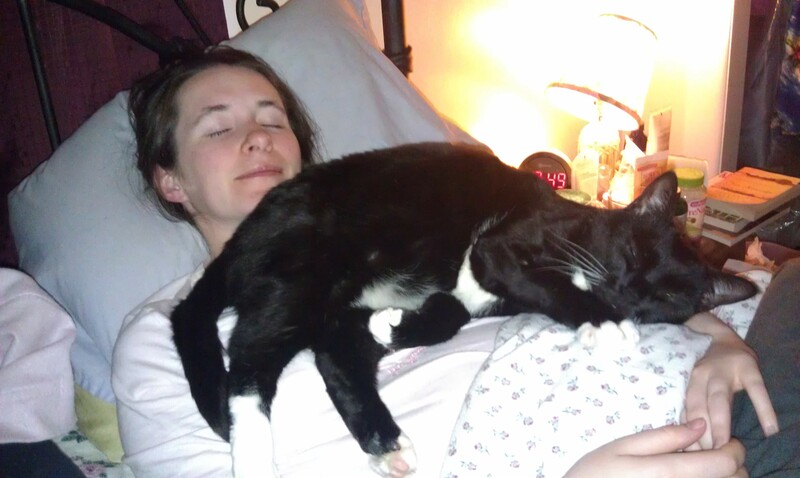 Comfort level: Yes, I’m normal pregnant uncomfortable, but I’m not SUPER uncomfortable. I haven’t been plagued with sciatica. I sleep ok for the most part (better than I would if I had a baby who needs to eat every 2 hours, that’s for sure). And I don’t have toxemia/pre-eclampsia so I really have nothing to complain about. I can “take one for the team” and wait another week or so, it’s ok.
For weeks I was really “suffering” (comparatively) from swollen feet. It was painful to put them on the floor in the morning. Socks were too tight (even men’s socks), and I only had two pairs of shoes that fit my Stay-Puffed Marshmallow feet. But then T’s sister showed him a technique to help get rid of the water retention in the feet. Now, T gives me a very specific foot massage every night and life is good again. I have ankle bones again! My feet don’t hurt when I get out of bed! It’s awesome! Plus, I’m working from home full-time now and keeping my feet elevated, so that’s helping as well. I’m probably a little more comfortable now than I was 3 weeks ago. Dreams: Lots of people also ask if I’ve had dreams about the baby, foretelling gender, etc. I have not. I don’t remember any dreams where I really see the baby in any real way. I would say that we’re still sort of strangers at this point (although I’m pretty sure the baby loves Mexican food… that always generates a dance party). Gender: I certainly have no guess at the gender. Lots of people think we know the gender but we really don’t. We often call the baby “he” but that’s only because we’ve gotten a little sick of saying “he or she” so we’re lazy and stop after the first part. “Eviction:” Lots of people, who aren’t my doctor, like to tell me to get induced. As of yesterday, my doctor says that she wouldn’t recommend inducing right now, my body is so not ready to have a baby that she doesn’t think it would work. She thinks I’d end up with a c-section and she’s glad I’m happy to wait. Plus, T and I think if we wait too far into June, we’d prefer to try all of the hippy methods of induction first: going for walks, acupressure, acupuncture, chiropractic, some super spicy Indian food, etc. So yep, that’s about it! No baby but no angst either. Taken on the baby’s estimated delivery date! I’m all red and puffy because T likes to play sappy love songs that make me cry! Wow… apparently I had a favorite shirt for taking these pictures! I just had my baby shower this past weekend (I had a great time! I promise to post all about it) – but I also had to do a lot of the planning. I’ve planned baby showers for some of my friends, but it was interesting to see it from both sides. I learned a lot of lessons and I thought I would share those with the internet in case anyone out there is looking for some tips. Why did I do a lot of the planning for my own baby shower? Well, because my friend and my mother wanted to hold the shower a week or two before my due date and that stressed me out! So I jumped up and started arranging things myself. After finding out it was slated to be so late, I immediately sat down with my mother, created some invitations, and we picked the closest possible date that would allow the invitations to arrive, be addressed, mailed out, and then give people a little time to consider their schedules. Had anyone asked me ahead of time, I would have requested the baby shower be held a month earlier (I’m due at the end of May, the shower was at the end of April, and I would have preferred the shower in March). The first thing I learned is that some people think of a due date similarly to a wedding date – the shower just has to be before that date. 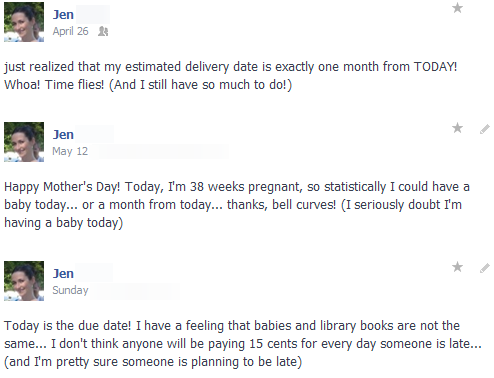 But due dates for babies aren’t really the same at all because babies can come whenever they feel like it. The “due date” is really just the date of the 40th week. An average, healthy baby will typically arrive anytime between the 38th week and the 42nd week. Also, as informed by my doctor, if a baby reaches 34 weeks of gestation and decides it’s time, the medical staff isn’t going to stop labor. 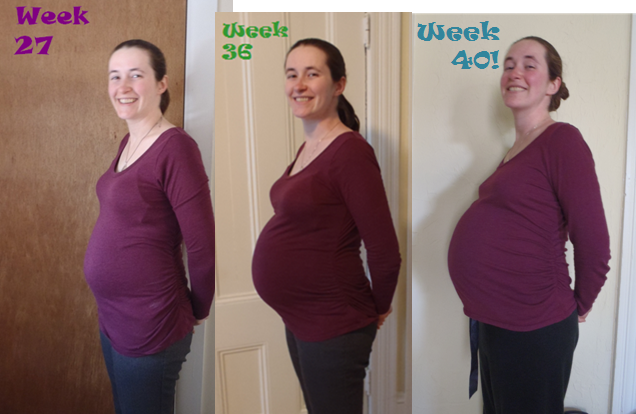 If the baby wants to show up at week 34, it’s showing up at week 34! 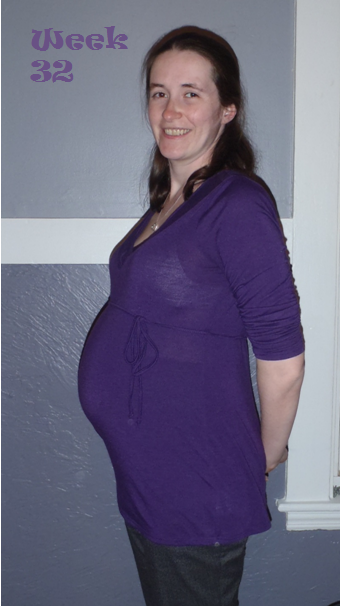 The baby shower was on my 35th week so I was having all sorts of stress dreams that the baby would show up before the shower (or in some of the dreams, AT the shower) and I would be completely unprepared. My friend wanted the party so late because “everyone wants to see you as big as possible.” I get the reasoning, I do. However, the bigger the pregnant lady, the more uncomfortable she is and the easier she gets tired. So for those reasons and others, I would recommend having the baby shower at least 2 months before the due date. Since I’ve already shared some of my less popular feelings about babies, I thought I would tell you about all of my silly hopes for this baby. I hope that Booger gets either my dark hair or my wonderful boyfriend’s predominant freckles. T and I are both PALE people (T literally glows blue in the sunlight and I have NEVER had a tan in my entire life). If Booger gets my weak freckles and T’s light brown hair, I’m not sure we’ll ever see this transparent child. I hope Booger gets my eyesight and T’s perfect teeth. I don’t wear glasses or contacts (T does) and the dentist practically sings love songs to T’s teeth whenever he’s in there for a cleaning. I hope Booger gets T’s musical and sports abilities. T can play 5 instruments and I’ve taken lessons for 4 instruments but can’t play any of them. 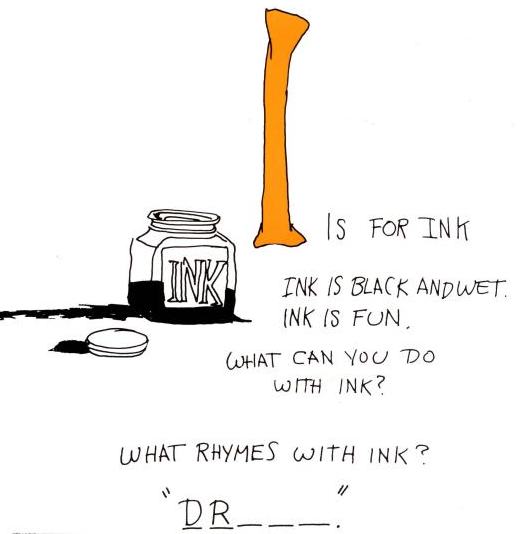 I have zero rhythm! T used to play songs for me on the guitar and even if it was my favorite song I wouldn’t know it unless he sang the words (seriously – I’m musically stupid. I’m mostly ok with it). And when it comes to sports, I can pretty much only catch a ball with my face! My wonderful boyfriend, on the other hand, played sports from 5th grade through the end of high school and was actually good! I hope Booger can draw like T as well. When we were in college (and had absolutely no money), T used to draw flowers for me and they were so lovely I still have them. He’s an architect… I think an ability to draw might be a prerequisite. I hope Booger is a deep sleeper like I am instead of a crazy light sleeper like T.
I hope Booger likes to cook, because I sure as heck don’t! I hope Booger has a love of animals. I’m pretty sure that’s a learned trait though… so I think we’ll be ok. I hope Booger is willing to try new things from foods to adventures like T and I are. Of course I will love my child completely even if he/she doesn’t get a single one of these traits… although I’m really hoping for the dark hair or dark freckles… otherwise he/she might just be too transparent to find! Do you have any silly wishes for your kids (real or hypothetical)? Any traits of yours or your partner’s that you’d want passed along? I’ve finally hit the point where I feel huge. I feel like I waddle everywhere. 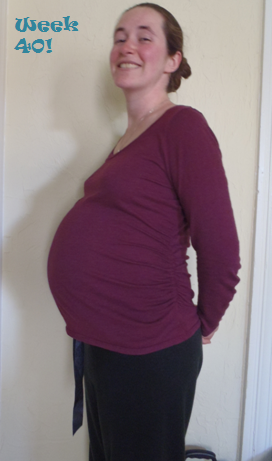 In my last preggo update I was about to be tested for gestational diabetes. I passed! I don’t have it! Yay! When I got the results, my wonderful boyfriend and I celebrated with a cookie… seems reasonable, no? My latest physical obsession: My ankles. Or rather, my cankles. This process started slowly… I would come home from work at the end of the day and I felt like I had muffin tops over my socks. And it was weird… but that phase has long passed. After the muffin top ankles, I lost my ankle bones on the inside. Then I lost the ankle bones on the outside. I miss seeing those bones. I hope they come back someday. Now I have puffy ankles… and puffy feet (seriously, I think my feet are an inch taller on the top!) and puffy little toes. This little piggy isn’t going to the market or going wee, wee, wee. It’s staying home, elevated, on the couch! I’ve grown out of all but one pair of shoes. Luckily T’s 11-year-old niece has bigger feet than I do, so I was gifted a pair of shoes that she grew out of. Yay! How I feel physically: Generally, I’m feeling good, but tired. Because of the move (and my regular yoga class was cancelled), I’ve missed about a month of yoga classes and I can feel it! I’m starting to get all of those lame aches and pains associated with pregnancy, but nothing major so I’m not complaining! My current bit of crazy worry: We started our childbirth classes last Sunday. We were 20 minutes late and forgot to bring the recommended pillows and yoga mat, but remembered snacks… sigh, I’m sure this hints towards some “awesome” parenting skills… We missed the introductions so we don’t know when the 7 other couples are due, but I feel like I have the smallest belly in the room (T agrees). I worry a lot about my pregnancy weight. I feel enormous, but everyone says I look small. My doctor said that by my due date, I should gain 25-35 pounds. I have a month left to go and I’ve already gained 32 pounds (I’m pretty sure 10 of those pounds are in my ankles and feet alone though). It’s rough to feel like I’m doing what I’m supposed to and still not be doing it right. On a related note, they’ve started to “weigh” Booger. On the bell curve of baby weight, Booger is around the 30%. The doctor is ok with this (they only worry at 10%), but it made me really nervous. Do I need more vitamins? What aren’t I doing that I should be doing? A minor spiral of crazy happened. And then I thought about it a little more rationally. As a child, I was always below average for weight. No eating disorders, I just have tiny little bones (like my parents). As a fun example, I learned once that the average female ring size is a 7, most jewelers don’t carry a ring below a size 5 and I wear a 3 1/2. Yeah… little bones! So I shouldn’t be too surprised that a child I would create would be small as well. My current bit of additional crazy happy thought: I still have an “innie” belly button! It’s super shallow but it’s not an outie! Booger’s Movement: Still super active (which actually does make the doctor really happy – she’s says it’s a better indicator than weight, so I should stop my worrying). We’ve started to be able to see Booger move (without the ultrasound)! Such a trip! Booger also gets the hiccups a lot (websites say it doesn’t bother Booger, but I hate when I get the hiccups, so I can’t image that he/she likes them!) As of last week, I can now watch Booger’s hiccups (my belly bounces) – so odd! Food: No odd food cravings as of yet. Everyone asks, but nope – I’m still loving everything I’ve always normally loved and I’m happy with variety. I will admit that I have eaten pickles and ice cream… but I’ve been doing that since I was 7, so I don’t think it counts! 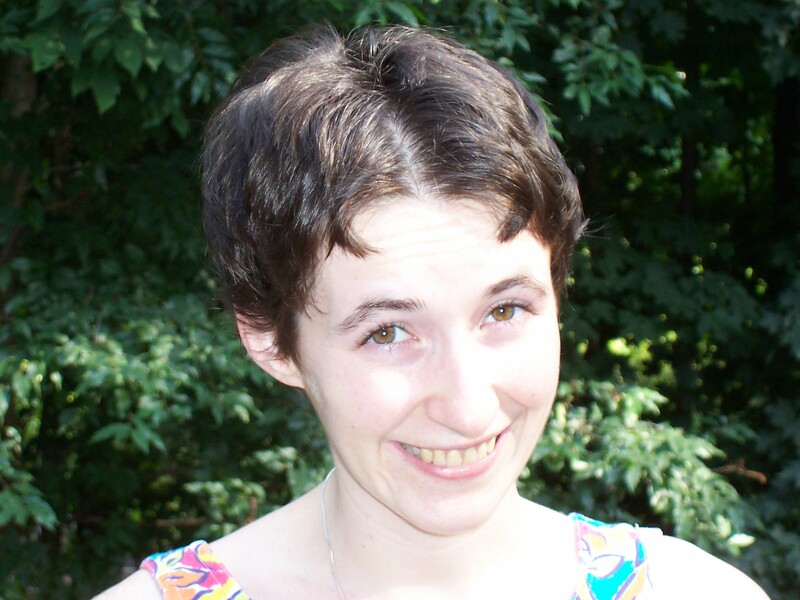 After some home renovations, hence the crazy hair (I literally cropped a mountain of tools out of this picture). Also it’s a sneak peak to the new paint job in our kitchen! 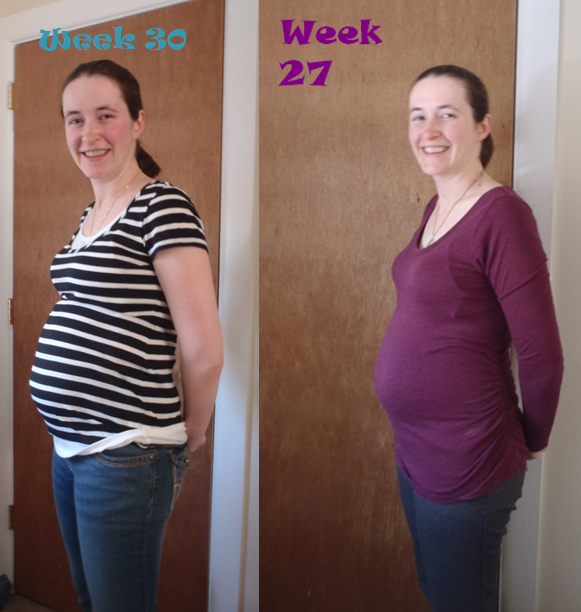 Only a 3 week difference, but I feel like the belly got so much bigger! Plus, both pictures feature the “I’m not really awake yet” face!